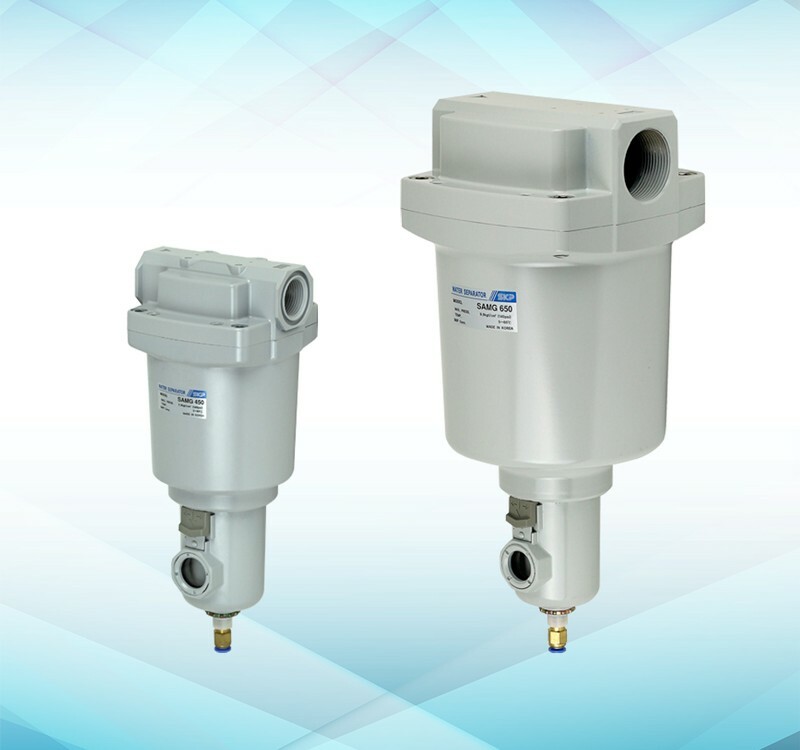 • SAMH series can separate and remove aerosol state oil mist in compressed air and remove carbon or dust of more than 0.01μm. 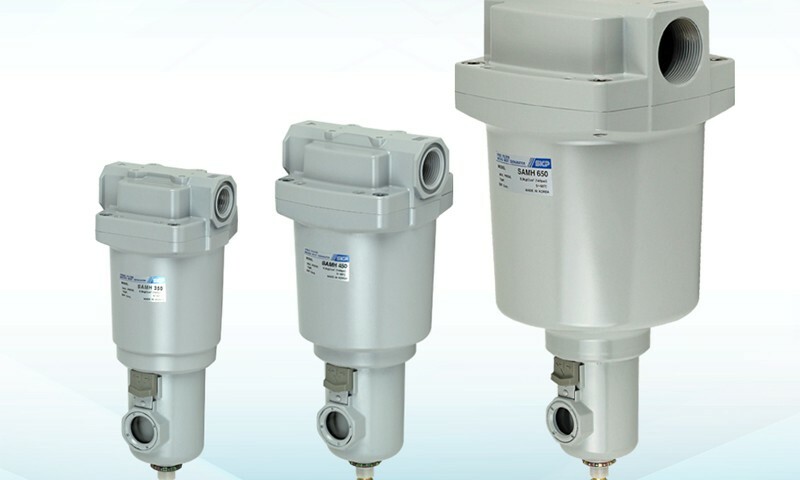 It should be used as prefilter of compressed air for precision instruments or clean room required for higher clean air. 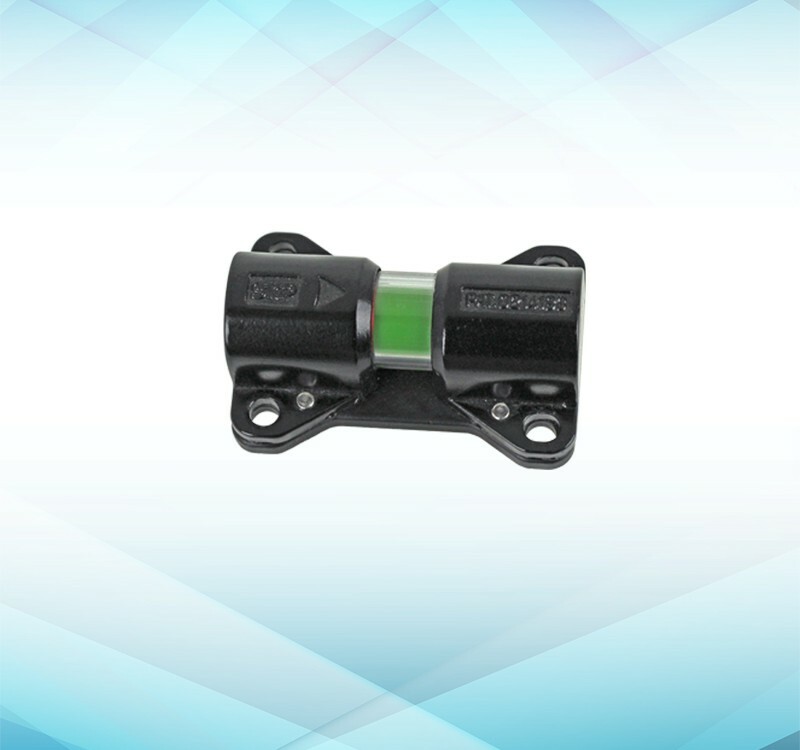 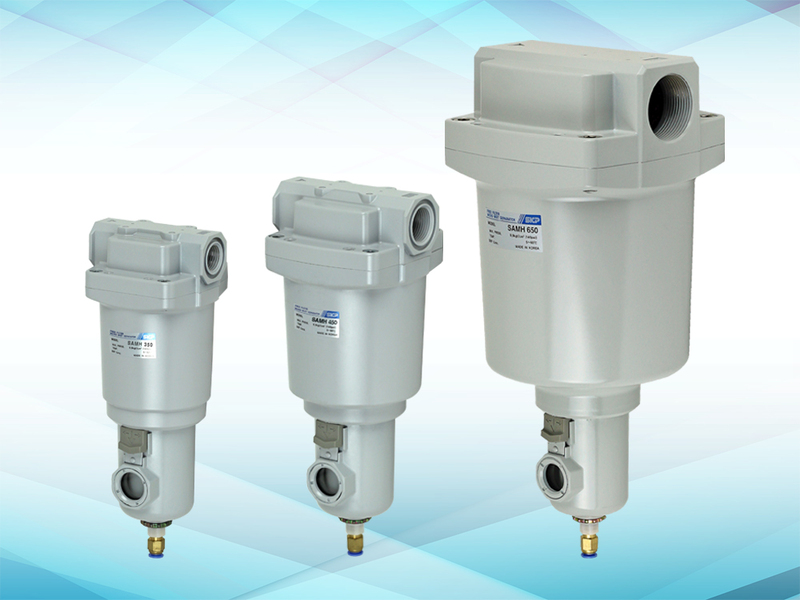 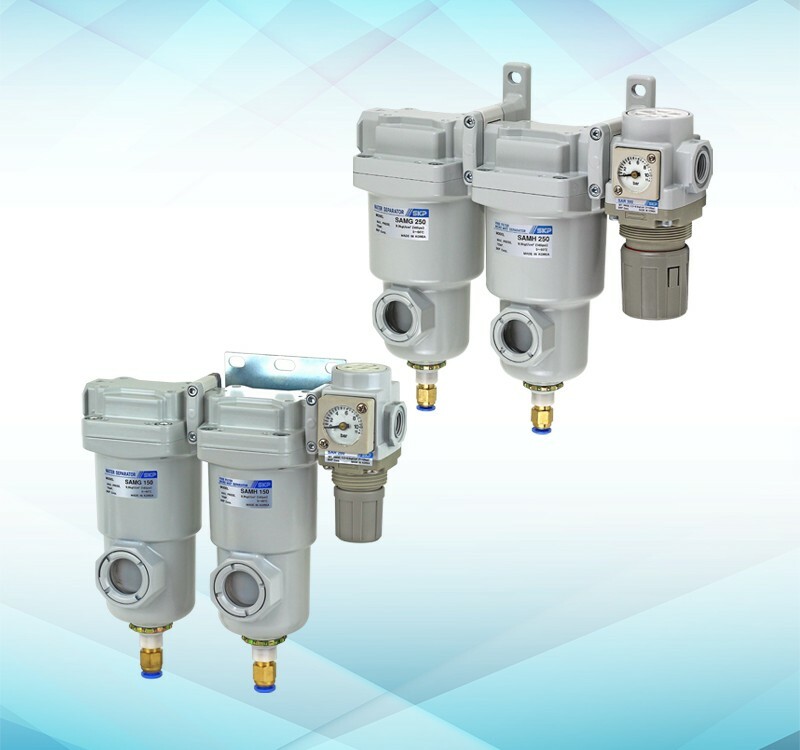 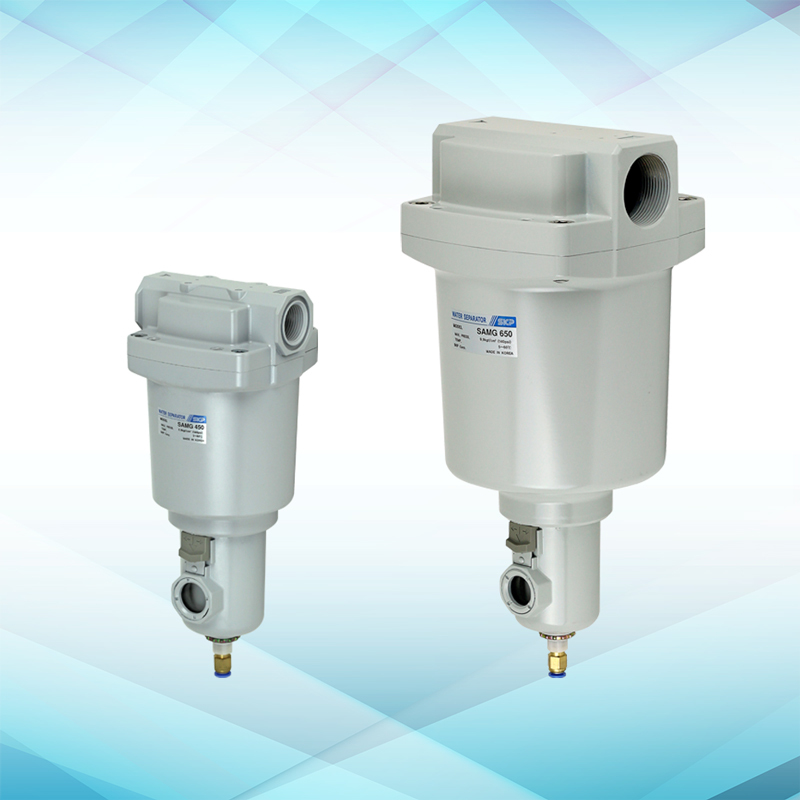 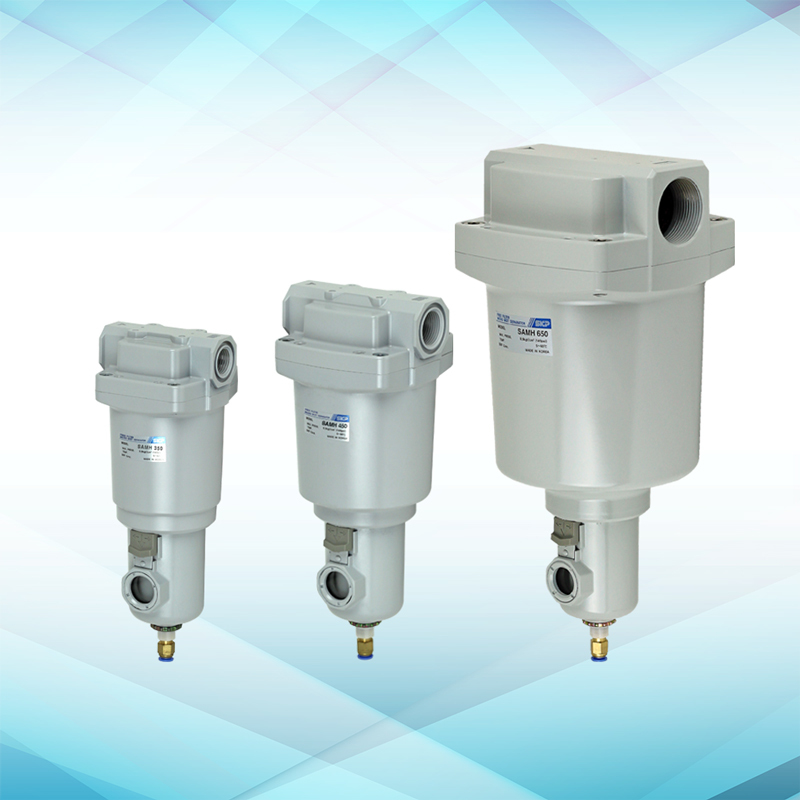 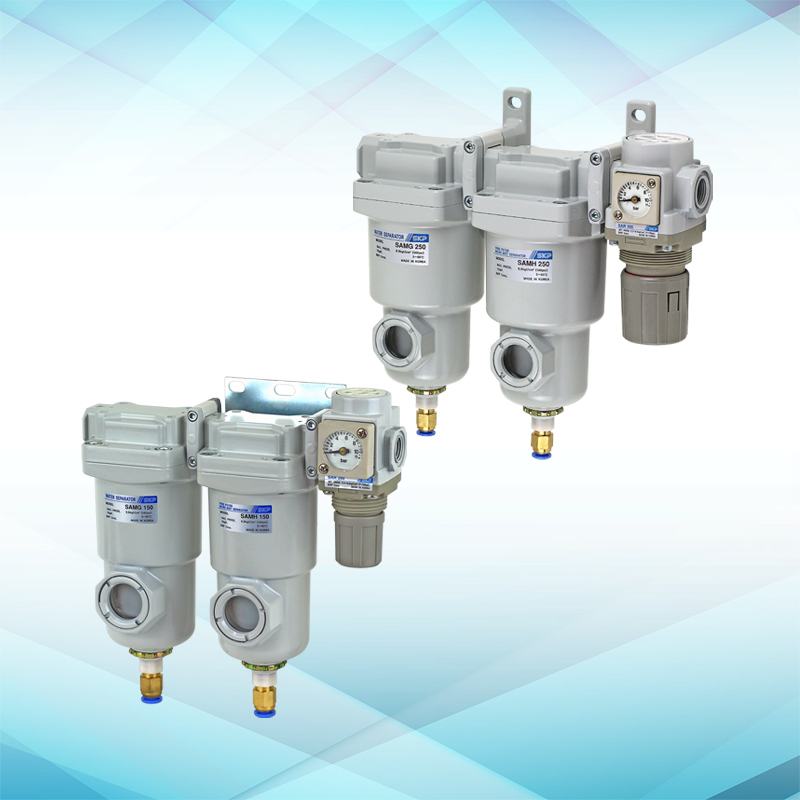 • The conventional pneumatic pressure line AM Series + AMD Series have been integrated to achieve a reduction in installation space, savings in piping installation labor, and reduced costs.